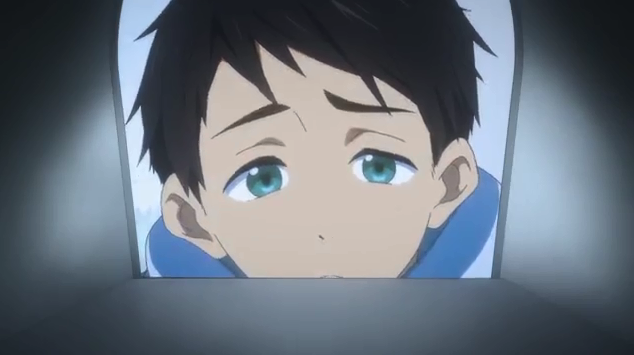 Well the episode starts off with a small flashback of Rin and Sousuke’s past. Not much is revealed at this point, just showing them using paper-scissors-rock to make decisions again (as usual) and basically being good friends. 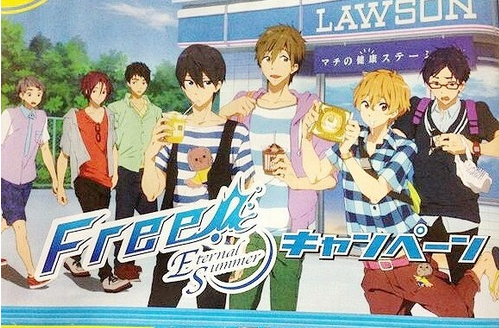 Actually when they were eating popsicles, it reminded me of Haru-chan and Mako-chan buying popsicles together. It was cute. Yuck……….that looks way to sweet…..
Look disgusting right? Well to me it does anyway. I don’t know how he does it. 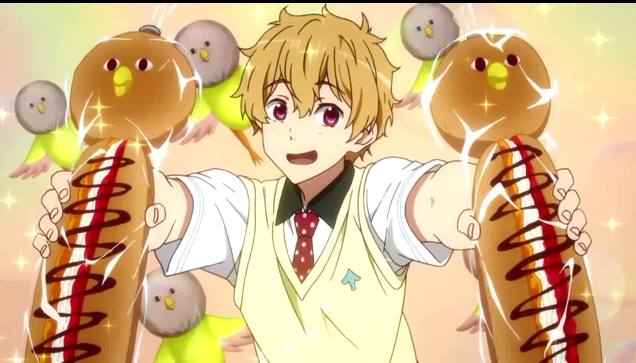 But then again, Nagisa has a weird stomach as will be revealed in later episodes…. I have a feeling though that Sousuke will probably demand his price later. I just hope that it won’t be something bad…. Not to mention back in the present, Rin and Sousuke later have an argument about a similar topic. Basically Sousuke said that Rin shouldn’t waste his time playing around when he could be improving his time. 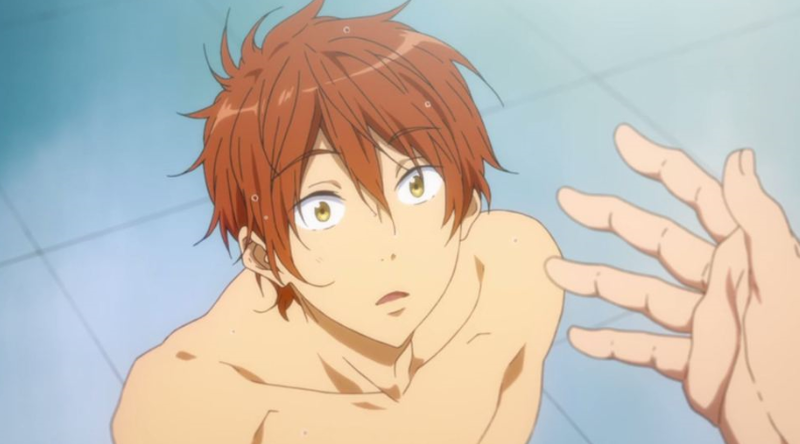 However Rin expressed how important the relay is to him and that his friends are the source of his strength. 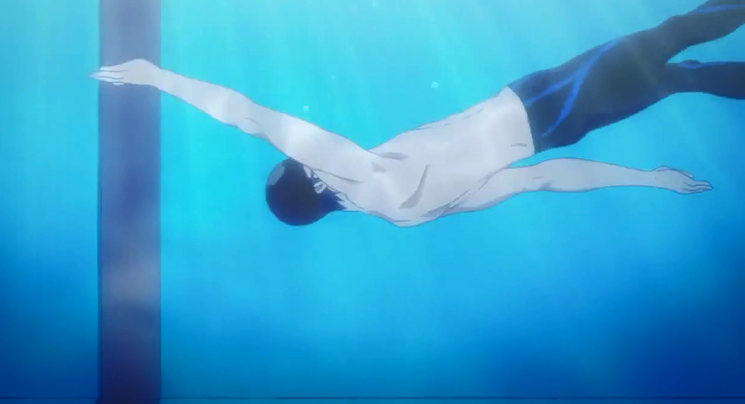 I guess Sousuke could see Rin’s feelings because he then decided to join the relay team. I thought that this part was quite nice actually, despite the bittersweet parts of it. There isn’t much that we know at the moment about Sousuke, however this flashback revealed parts of his friendship with Rin. 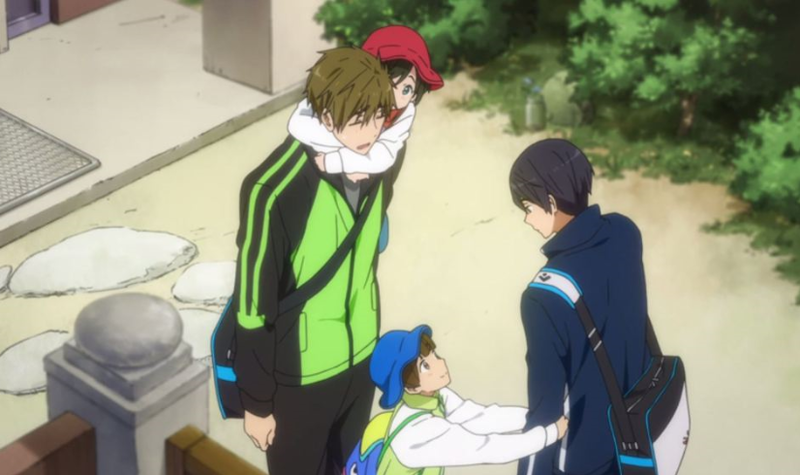 Because they seemed to be really good friends, I kinda compare their relationship to be that of Haru and Makoto. 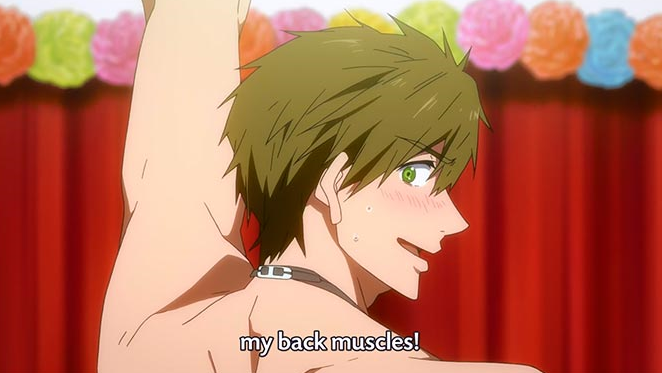 Well Haru and Makoto has a what I would say balanced relationship I guess? I mean Haru can be headstrong sometimes if it’s to do with what he wants, but he’s also quite calm. 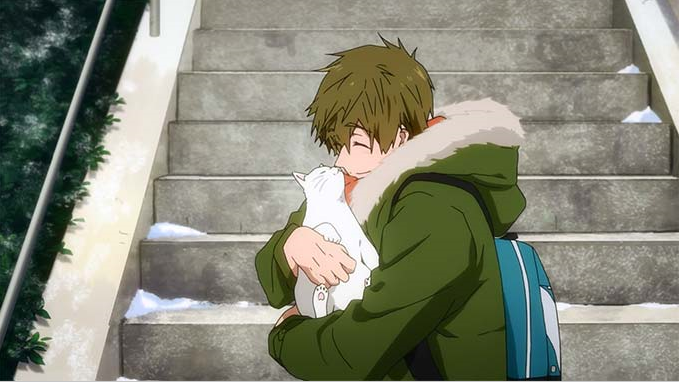 Makoto on the other hand is a really nice and selfless character. 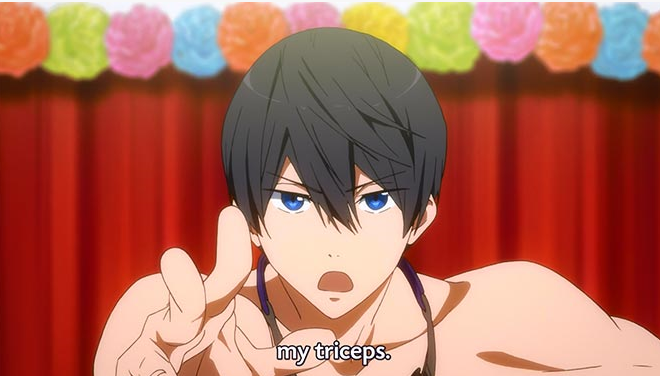 He would certainly put Haru’s wants before his own. They would hardly (if ever) fight but they might have problems making decisions in the future, because they (Mako-chan especially) would be worried about the other person. 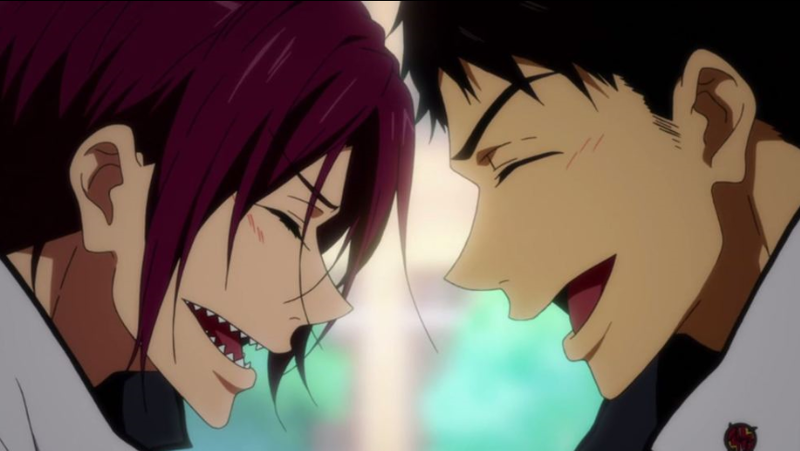 Sousuke and Rin on the other hand are two very headstrong characters. They often argue as can be seen in this episode, and certainly they would often disagree with each other. 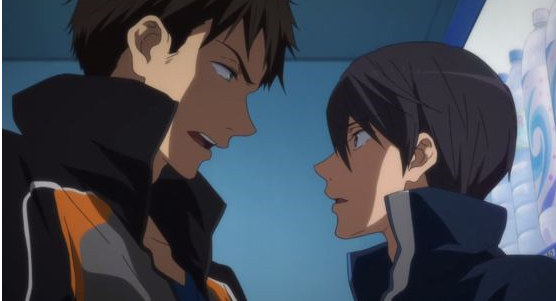 However if there was a problem, I think it would be easier to be solved between Sousuke and Rin rather than Makoto and Haru. This is because Makoto and Haru would probably hide it to not worry the other, while Sousuke and Rin (Rin in particular really) would probably out rightly say/shout the problem. Either way, I have faith in all of them! 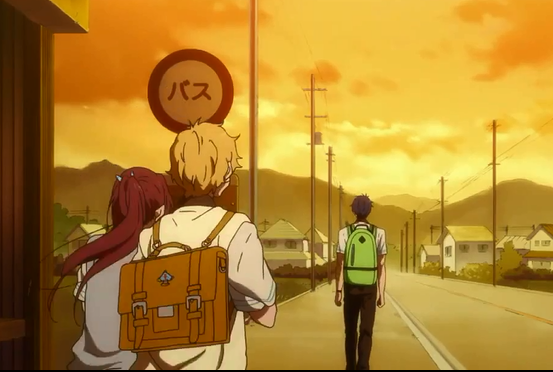 On a happier note~ Gou returns with her so-called perfect lunchbox. At first glance it looked perfectly normal…it looks good even. 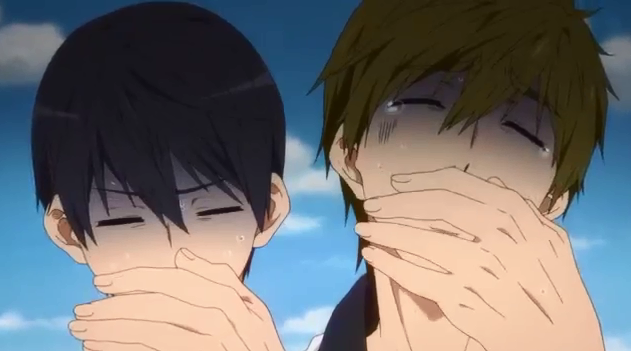 However when Makoto and Haru had to try it…..
Man poor them! Based on their expressions, it must’ve tasted pretty horrid! Yikes Gou, of course it would taste horrible! One thing I’ve learnt everyone, is that NEVER put protein powder into food!!!!!!! Also, they swim club had to come up with an advertising strategy to gain members. 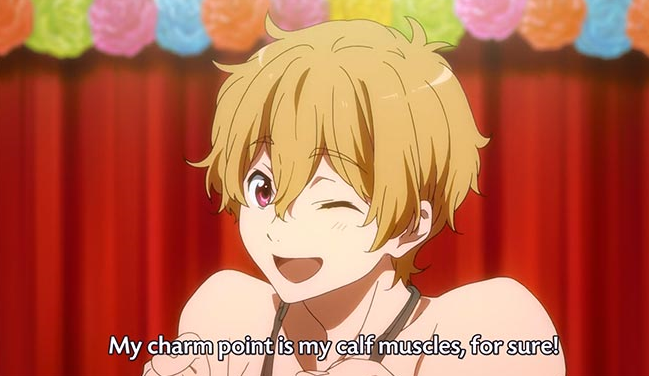 And for some reason, the idea Gou (their manager) came up with is…..MUSCLES! Ah who cares, it was damn hilarious!!!! Something else that happened was the arrival of the new character, TADA!! 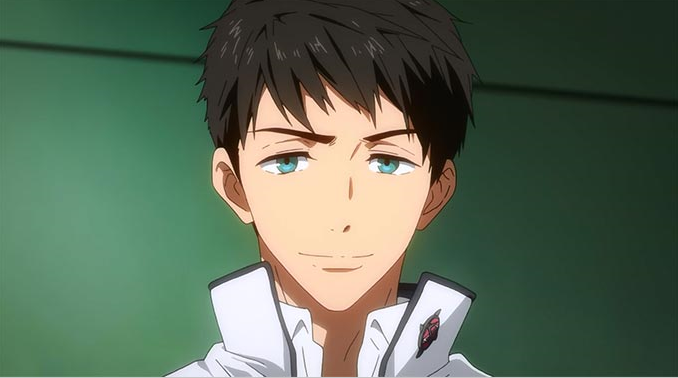 His name is Sousuke Yamazaki and he’s Rin’s childhood friend. Okay, first impressions of the guy. 1. 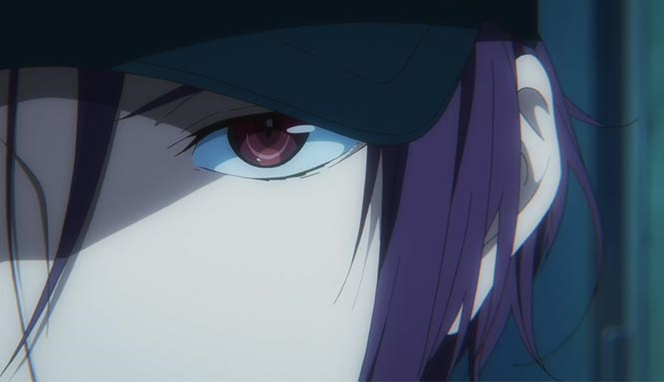 What the….that hat…that style….are you copying Rin? Because that’s how he showed up in season 1!! 2. Whoa dude, are you being a stalker? Don’t watch the others swimming creepily like that! 3. Yikes his eyes are scary!! So intense! 4. ……tch. He’s good looking. 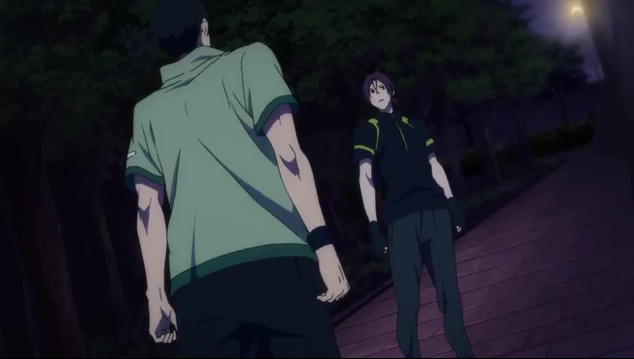 Basically on ep 2 we find out that Sousuke is Rin’s childhood friend that had for some reason decided to follow Rin to Samezuka. 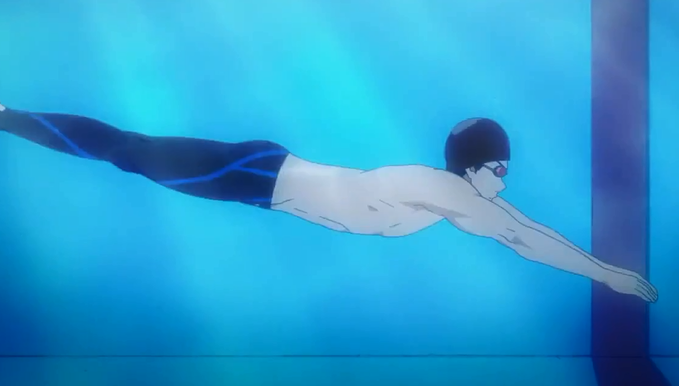 His specialty is butterfly also he can also swim freestyle. 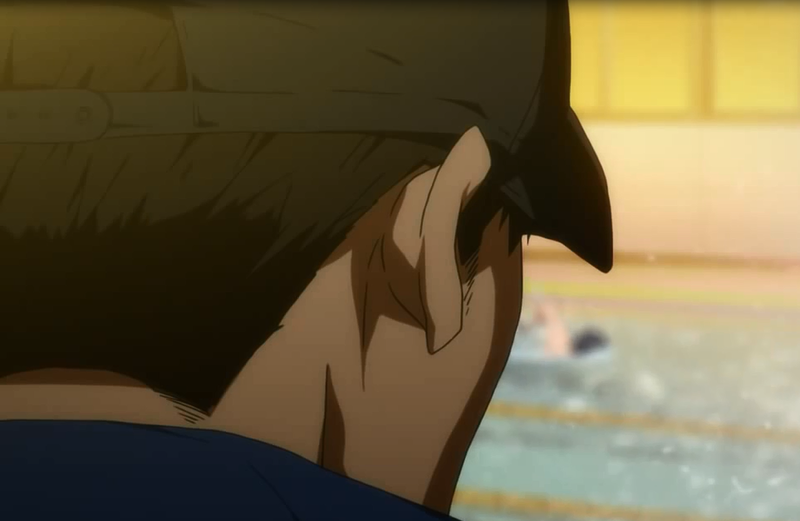 He and Rin are good friends but for a mysterious reason, Sousuke really hates Haru. 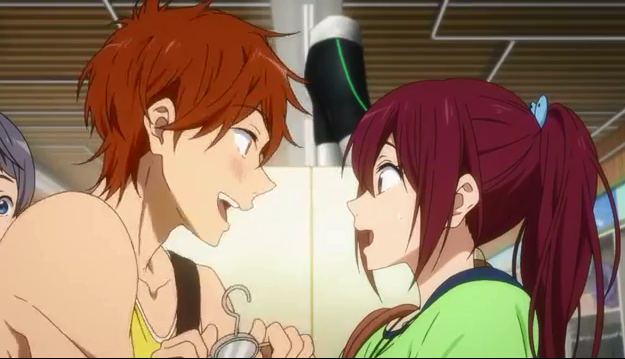 I mean come on, look at their first encounter!! Have I mentioned I ship SouRin now? Kinda hard not too? 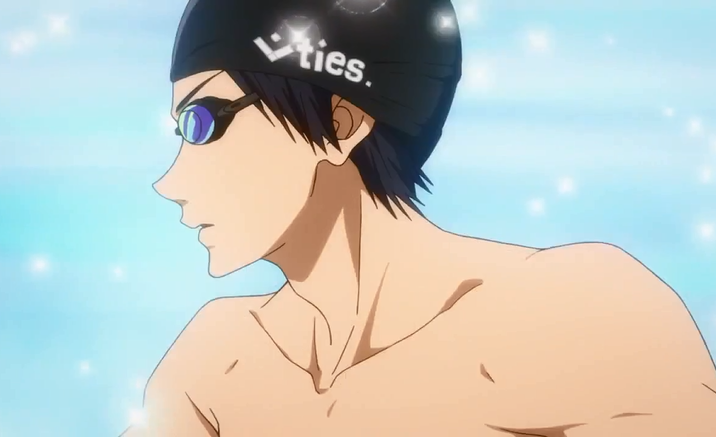 In order to gain more members, the Iwatobi swim club members are entering the relay race in the school athletics day!! And they are running!!!!! 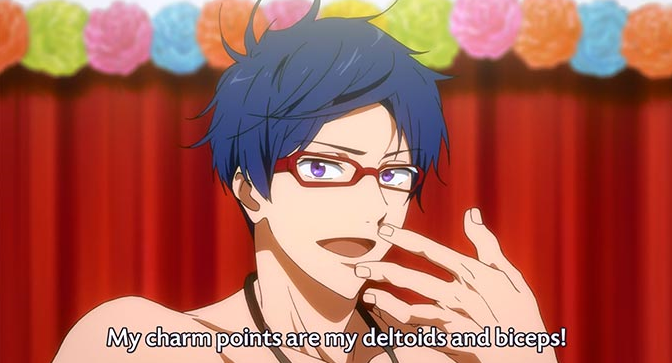 Also, what’s wrong with Rei? Why has he been distance and is he….leaving?